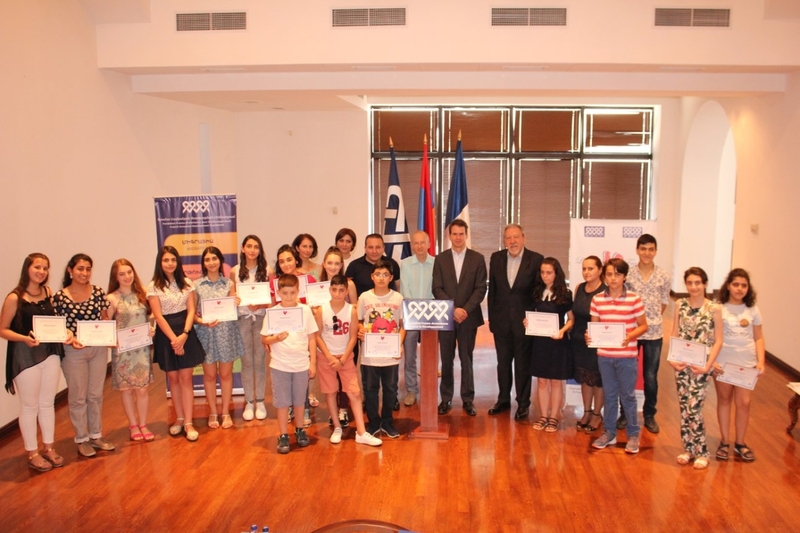 On 3rd July, 2018 the awarding ceremony of “Le Coq Français” French language contest winners was held at “Aznavour Centre”. H.E. Mr. Jonathan LACOTE honoured us with his presence at our awarding ceremony and greeted our Francophone projects. Mr. Alain TOUHADIAN, FADF President of the Board, awarded the books and certificates to the winners.